Imperial AC Supply provides Air conditioning, Ductless and Indoor Air Quality units, Accessories and other products and tools in Belle Vernon, PA and surrounding areas. Check out what some of our customers are saying about Imperial AC Supply . Contact us today to buy the products. 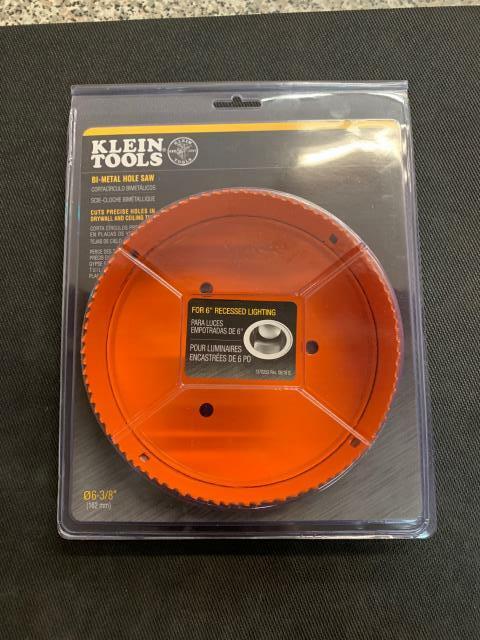 Yellow Jacket 60430 Lightweight Swaging/Flaring Tool being sent out to Belle Vernon, PA.
Klein's Bi-Metal Hole Saws are optimized for cutting steel. The blades provide the fastest, most consistent and longest lasting cutting on the market today. Heavy-duty construction includes thicker 5 mil back plates to stand up to abuse much better. On its way to Belle Vernon, PA.